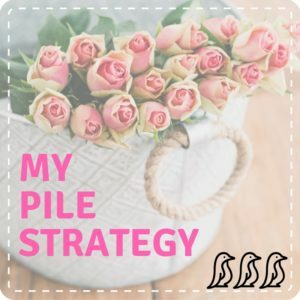 I have to admit that I have never lived without piles somewhere in my house! I try to keep them maintained, but I honestly feel more organized with them (as crazy as that might sound) because it gives another spot for something to go. But what takes the real effort though, is following through with what each pile represents. The pile on the bottom of the staircase is for me to take upstairs and put away the next time I walk up. The pile of mail in the kitchen may be there for a little longer, so it sits in a nice wooden tray that I can easily pick up and hide if a guest where to stop by. In the playroom we have a bin labeled “small toys” – here is where all of the random little toys and pieces go. Every so often the kids and I dump it out and go through it. And who doesn’t have a junk drawer somewhere in their house?! As organized as you may try to be, some days it is a lot to keep up after, and sometimes you just simply do not have those few extra moments to put something away. So by already acknowledging that, and allowing myself at times to simply “get to it later”, I can focus on whatever the more important task is at hand. And by planing ahead to give myself these designated places to temporarily stash my “stuff” it actually helps to keep our home organized…and later in the evening (or week) I will go through the tray, the drawer, the bin, etc., and put everything back in its place. Recently we sold our house and moved into a temporary apartment. Moving from a house that we called home for 12 years, and grew in to a family of 5, was no small task. And did I mention that we literally moved into a space that is 1/4 the size of our old place? Although this move is temporary, it did make me focus on sorting through, and re-organizing, EVERYTHING! If I have to move it twice, pay for it to sit in storage, or squeeze it into our new space – it has to be worth it! 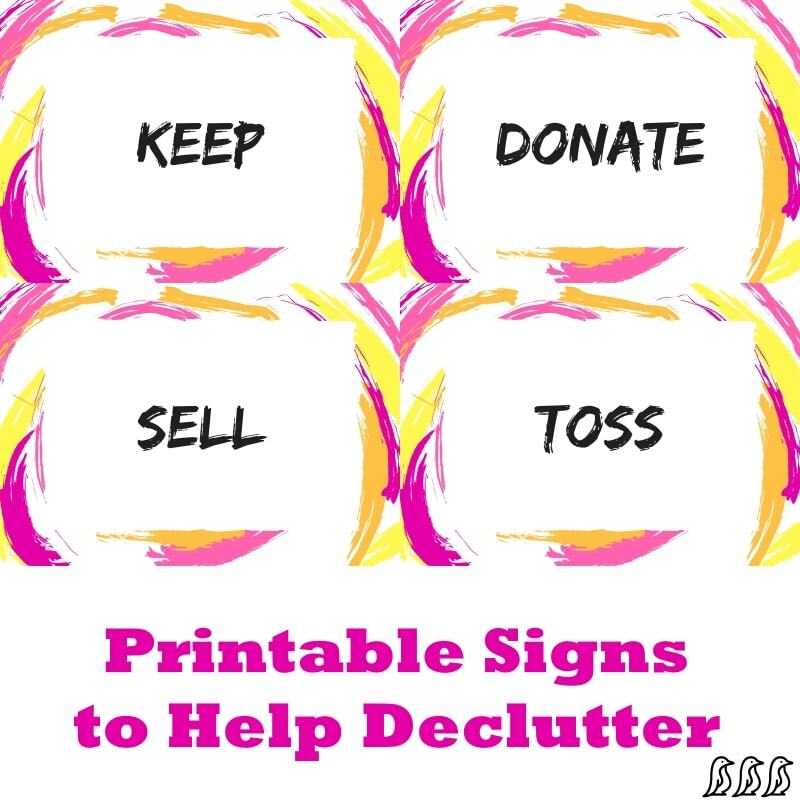 I started making piles – Keep (box up if storing, or put in a designated pile for the apartment), Consign, Donate/Give Away, and Trash. Luckily, I have another savvy family member that told me about an amazing consignment shop! It gets a ton of traffic and the payouts are decent. Anything that I knew we had outgrown, or wouldn’t use again, I’d try to think of someone to give it to or it went in my trunk straight to the consignment shop. And anything they passed on went either straight into a donation bin or the trash can. If it left my house, I refused to bring it back in! Our daughter at the time of our move was 8 years old. However, because she was my first, and I wasn’t sure if we would have another girl again, I kept everything of hers. This move validated that our family is complete at 5, so everything I had been holding onto I began selling or giving away. At first I got emotional. But a few days (or weeks) later I realized I could still live, and slowly began selling and getting rid of all of our baby gear. I kept a few things to be passed down, but majority went out the door. I cannot even begin to tell you just how freeing this actually was! To see piles leave that were not being used. To know that these things were now benefiting other young families, and to see more clean empty space in our house was wonderful. The more stuff that went, the freer I felt, and the more I wanted to feel that high! So I began selling furniture, decor, anything we did not need or use on a regular basis – it was AMAZING! We are now settled into our little apartment. But I still have my wooden tray in the kitchen, my “small toys” bin in the playroom, and a few piles in the bottom of our closets for Consignment/Donation, and what I am Giving Away. Now as soon as a season is over, I go through the clothing closets. Every couple of weeks I reorganize another closet or cabinet. It’s amazing how each “round” I do reveals more that we actually do not use or need. You know the saying “Less is More”? I have truly come to understand and appreciate this. The less “stuff” we have, the more room we have to play, walk around, or even just breathe. 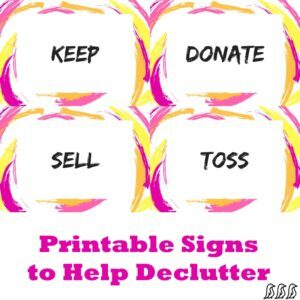 But I know that it is not realistic to get rid of it all, and that is why I needed to figure out how to stay organized, and even find a way to keep the “unorganized” in order until I could get to it. So, with all of this said, I have realized that the key to piles is this – allow them! They are very much needed! But find a way to keep them organized, and stay disciplined by going through them every once in a while.